Excellent product. I've tried everything as I've had spot prone skin for years! This actually works. It is drying but I have dry skin so I use it once a day to not drain my skin too much. The exfoliating wash twice a wk too has helped a lot also... I now look clean regularly at last! The Clarifying Skin Cleanser Gel gives a great effect, but I wish they could produce it without triclosan. I have used many faces washes from Manscience to Anthony Logistics and this has been the best so far. My skin type is combination (shiny forehead, dry round the chin). I do not have to use a lot to get a good lather and my face feels clean and fresh without my skin feeling tight. It has reduced how shiny my skin becomes during the day and the slight fragrance is pleasant. Bin using it for a few weeks now and this stuff is brilliant! My spots have died down a lot and it also helps with the oiliness 2! Great product! I've had mild acne/breakouts since I was a young teen and tried countless products. I started a new routine after going for a face treatment. 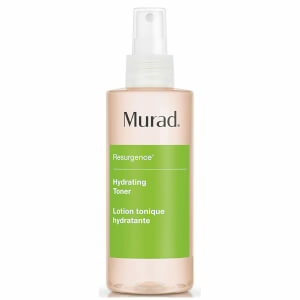 I started using this Murad product twice a day, with occasional face-scrubbing sessions. After half a weeks my skin was completely clean, fewer blackheads and no break outs. I suggest this, you only have to use a little so the bottle lasts a long time. Been using this for about one month. Cleared my blemishes up within days and acne has visibly decreased. Also leaves your face feeling super clean. Great stuff...I have spent so much money for other cleansing products and when I tried this one, It was first time pleased! It really does what is says and my spots are gone! This lasts ages, you only need a small amount. It feels great, better than all the rest, and I've tried them all. Leaves a slight tingling sensation, and leaves your skin always feeling fresh. 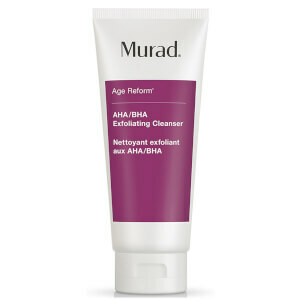 Acne got so much better, after 4 months, I'm not using Murad anti-redness, also great. This is the best cleanser I've ever used to get rid of my spots. You don't need to use a lot so it tends to last longer than other washes. Used this to combat my occasional breakouts. It is the only cleanser that has worked to cut down the amount of spots I get. I would highly recommend for people who have oily skin and are prone to spots.